Greg and Allison Williams, the husband and wife team behind Desert Swarm! 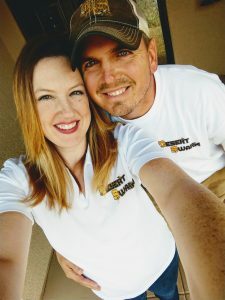 We are Greg and Allison Williams, Tucson residents and the owners and operators of Desert Swarm Bee Removal, LLC. Greg holds a Masters of Science degree in Wildlife Biology, and Allison holds a Masters of Science degree in the environmental sciences. 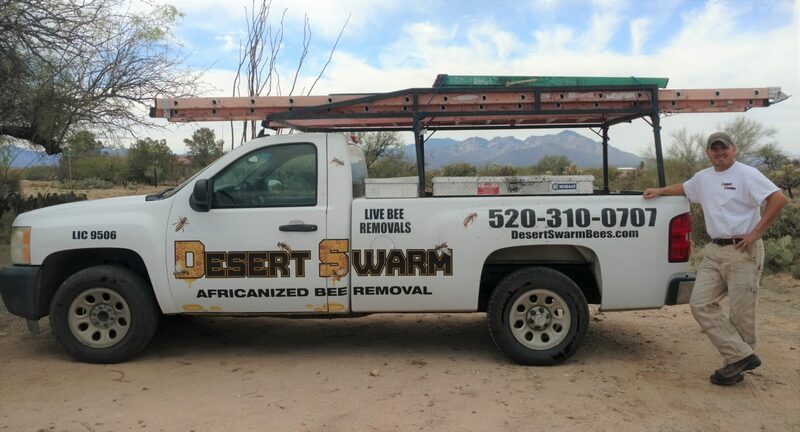 Together, we offer a broad range of experience and expertise that support the quality services of Desert Swarm Bee Removal, LLC. Greg is Desert Swarm’s bee specialist, and you may meet him directly if you schedule a job with us! He performs the majority of our bee services and is also a local beekeeper. Allison is Desert Swarm’s office manager and will likely take your phone call to discuss your bee situation and to schedule your appointment. We are proud small business owners which results in service you can only get when someone knows their reputation is on the line and who will stand by their work. We take serious pride in our work and educating the public on bees and their behavior. And the bottom line is, we genuinely love what we do! Please contact us today so that we can tell you more about Desert Swarm’s professional services and reasonable rates. We look forward to helping you solve your bee problem, and thank you for considering our business!